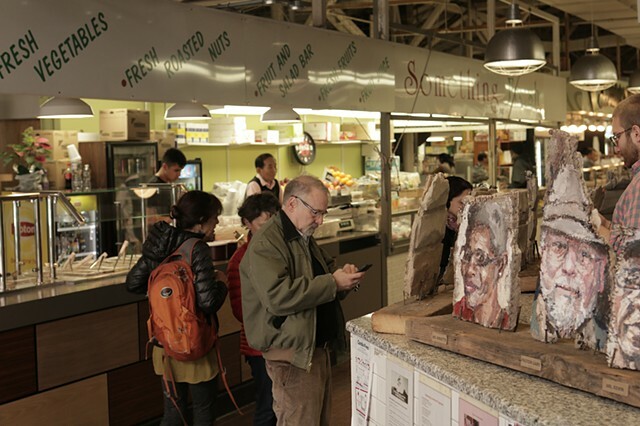 Like many post-industrial cities, Baltimore is currently in a state of flux. 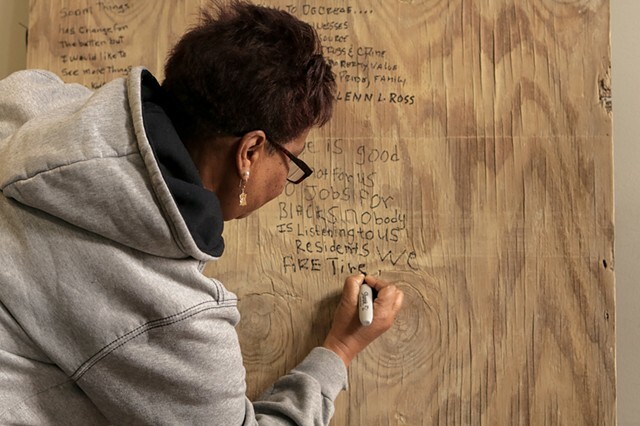 East Baltimore has a rich history as a home to immigrant and African American communities and is now undergoing rapid development. 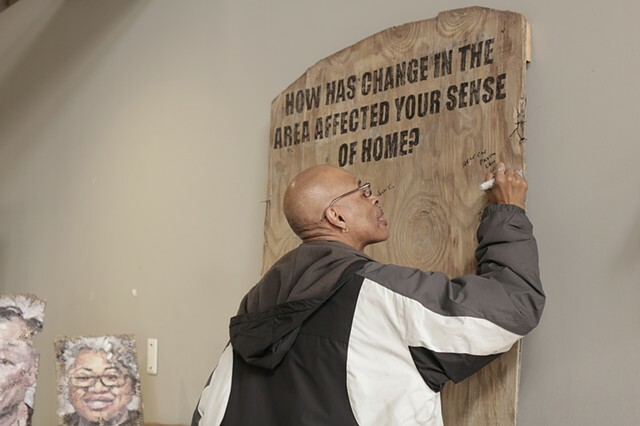 As the physical and cultural landscape changes, the resilience of communities is tested and the question of how change can occur equitably arises. 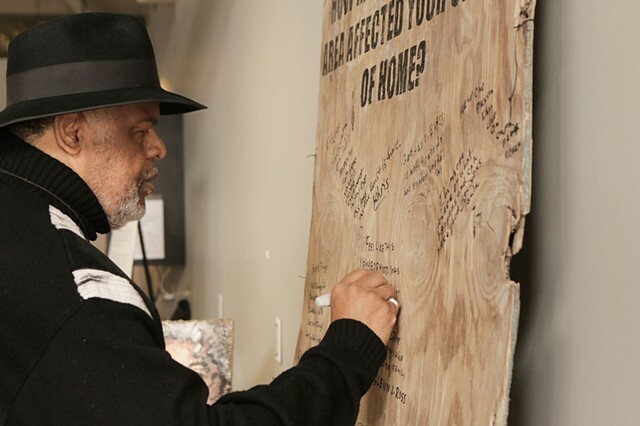 No single narrative can encapsulate the range of effects that development has on communities. 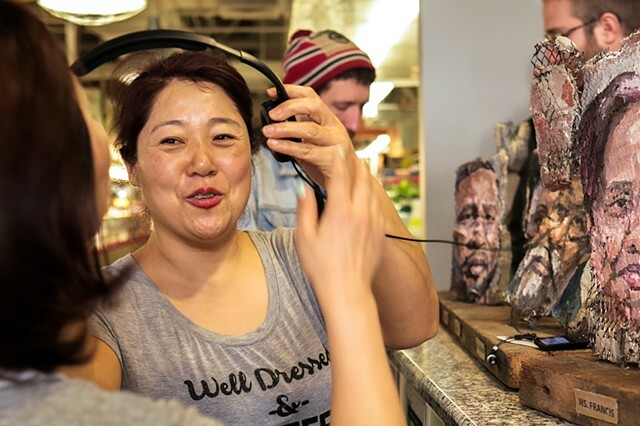 Facing Change is a collection of portraits of residents and stakeholders of South and Middle East Baltimore paired with audio narratives describing their various perspectives, stories, and experiences with change in the area. 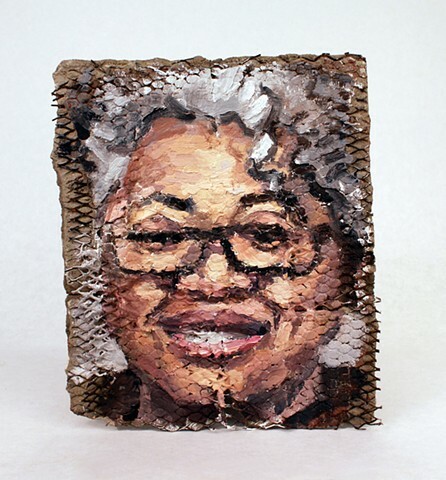 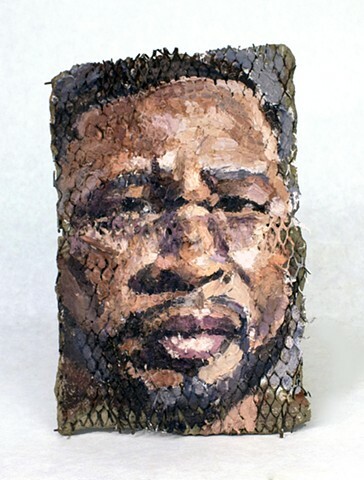 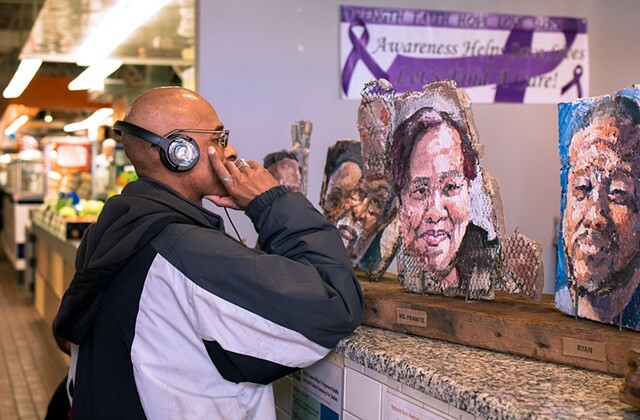 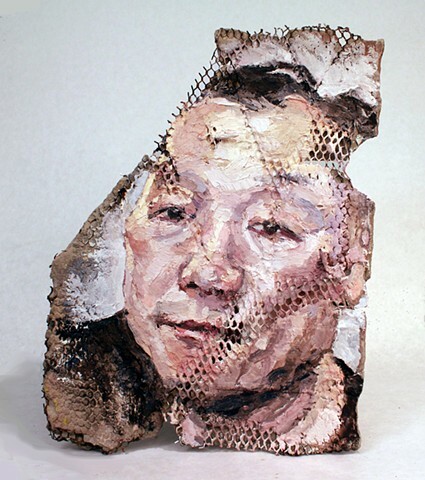 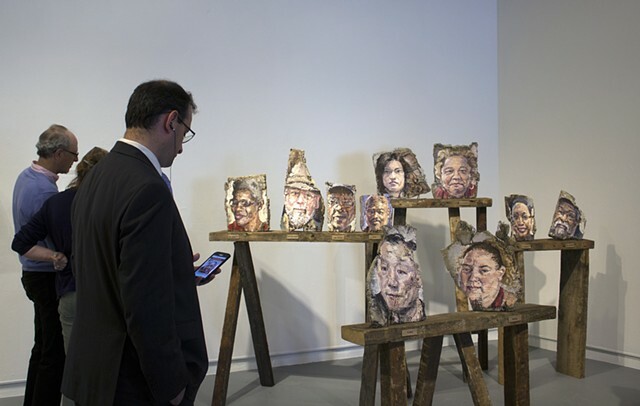 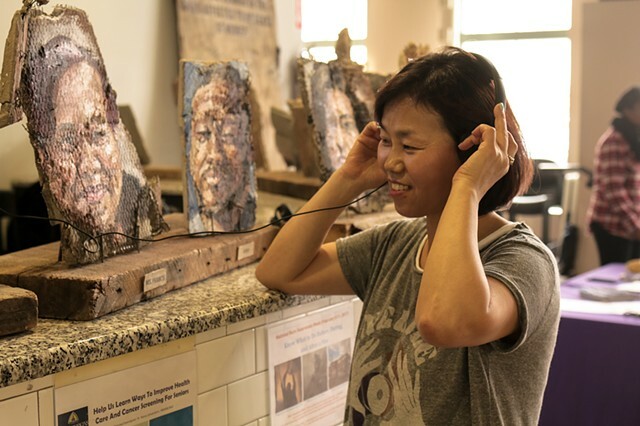 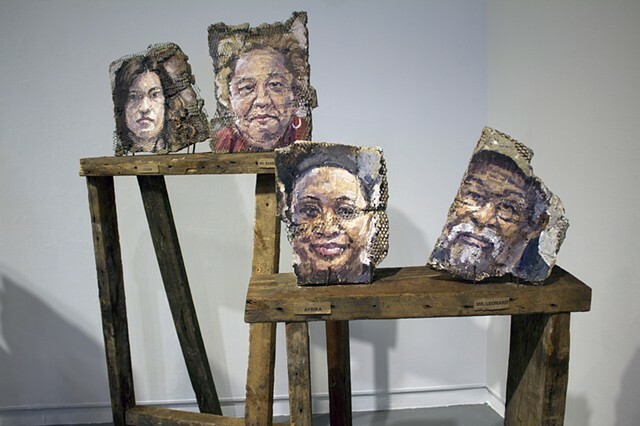 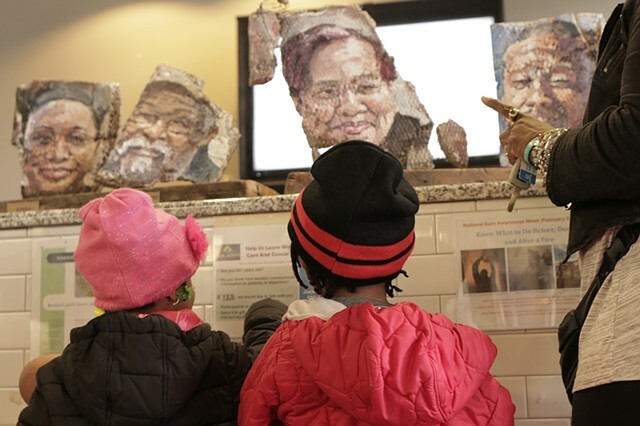 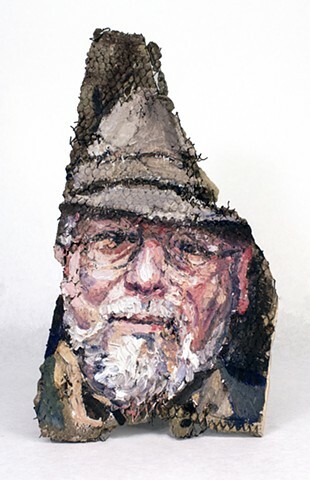 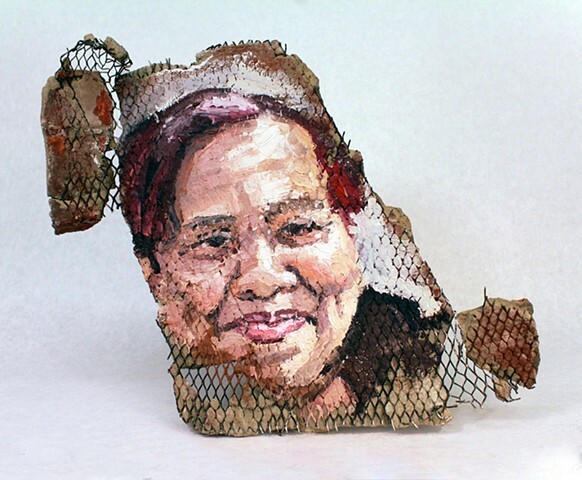 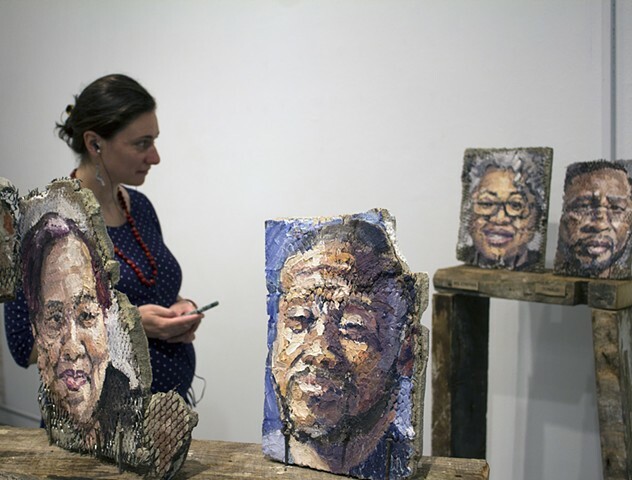 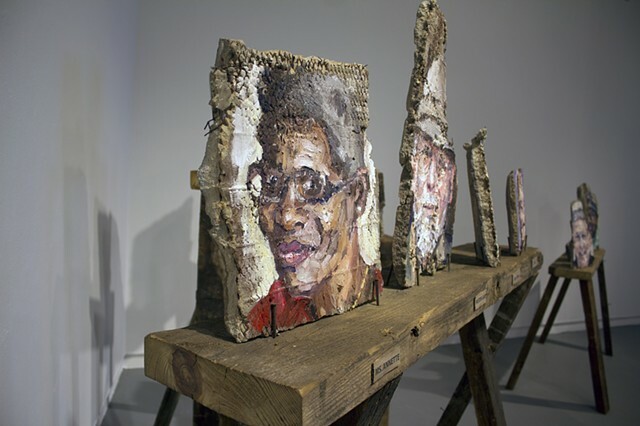 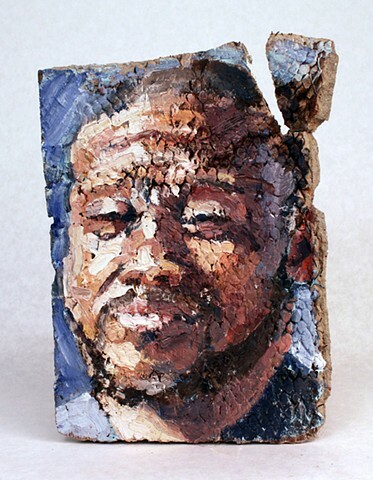 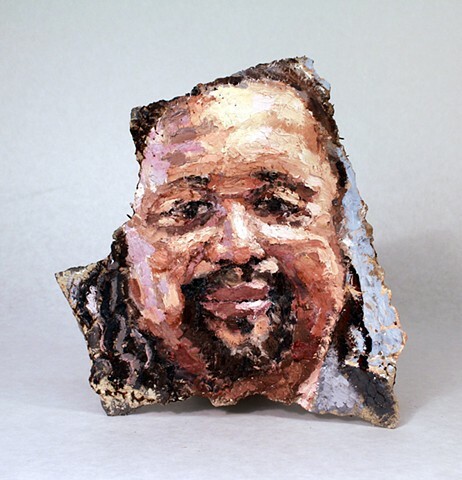 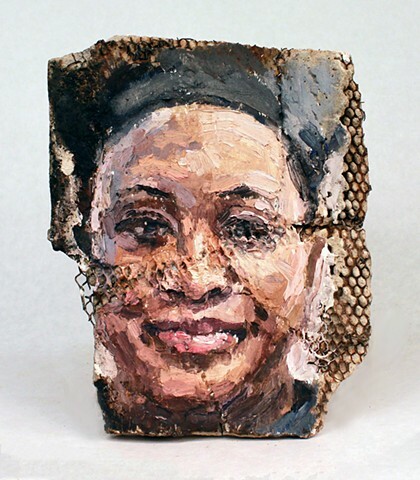 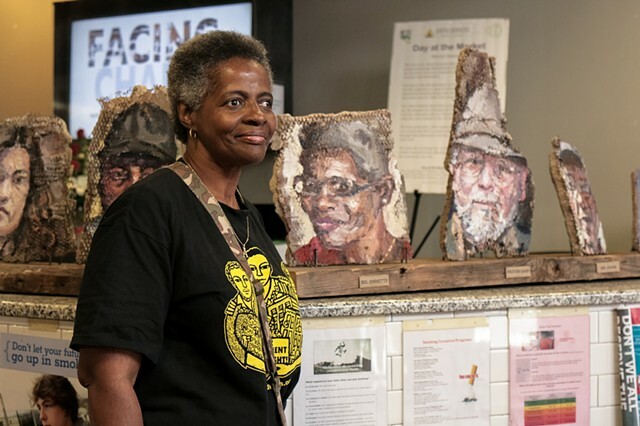 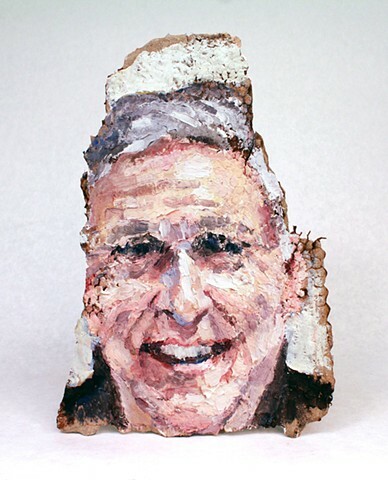 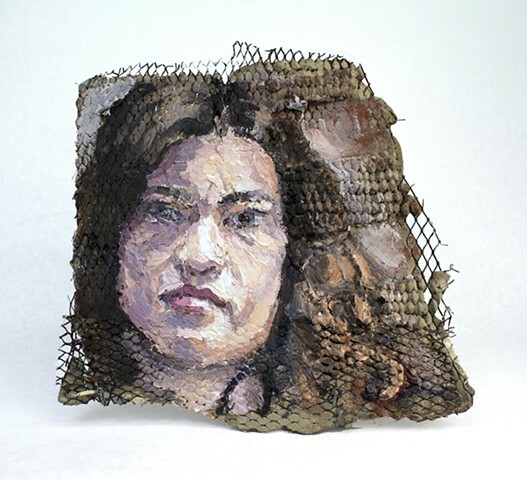 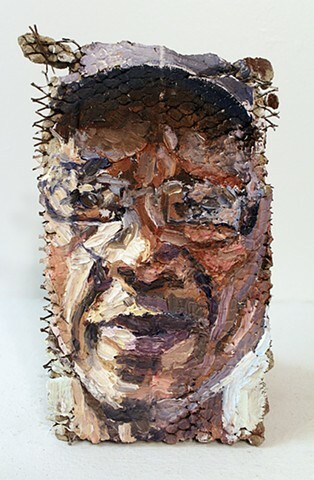 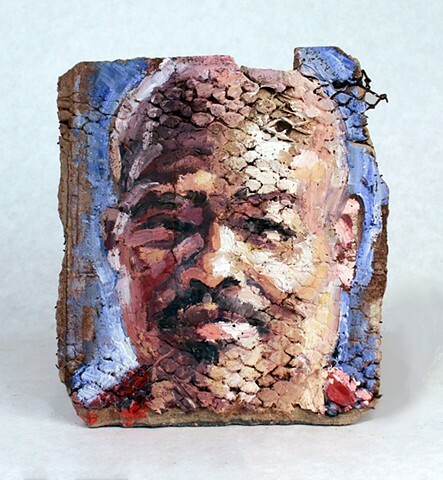 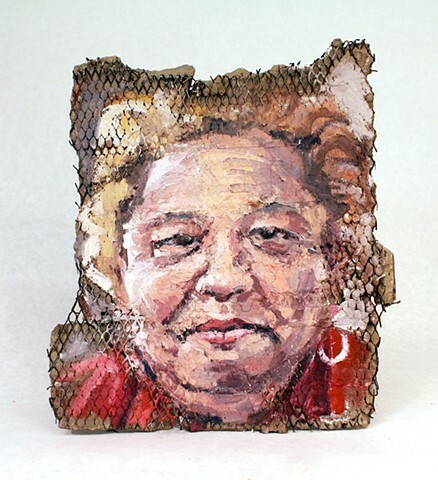 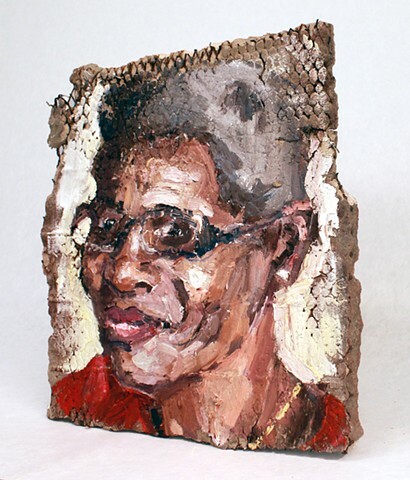 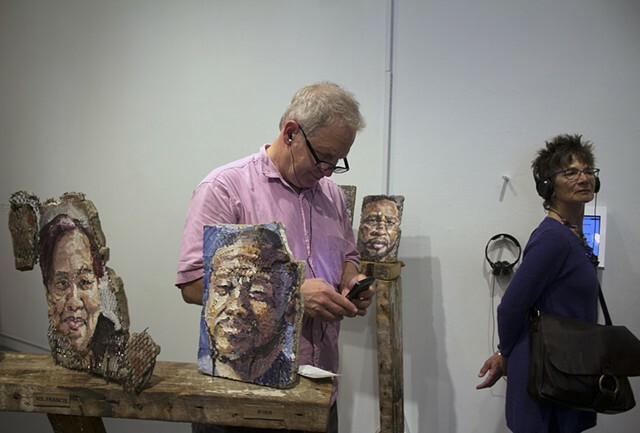 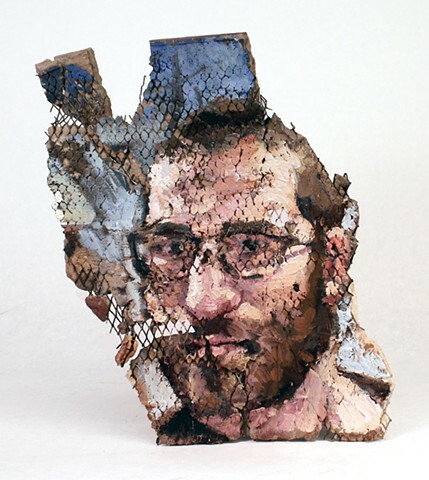 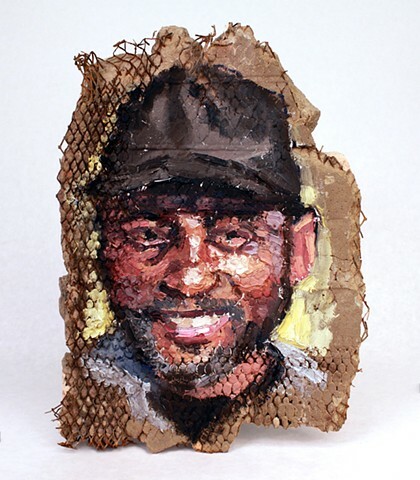 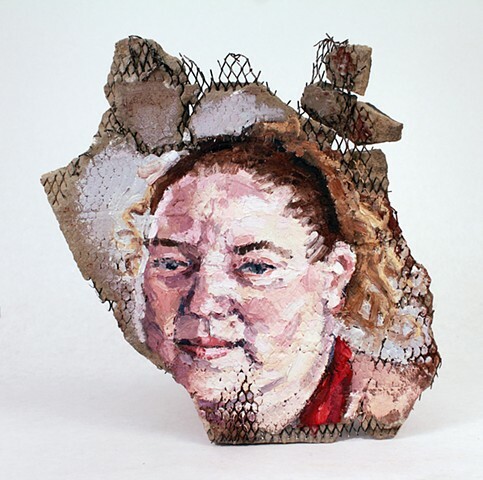 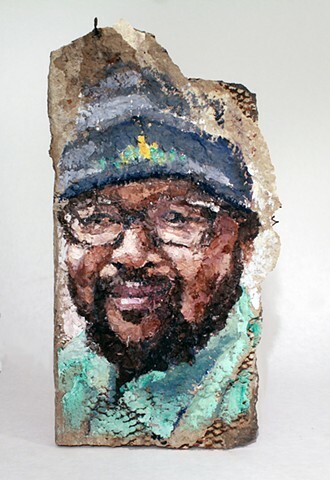 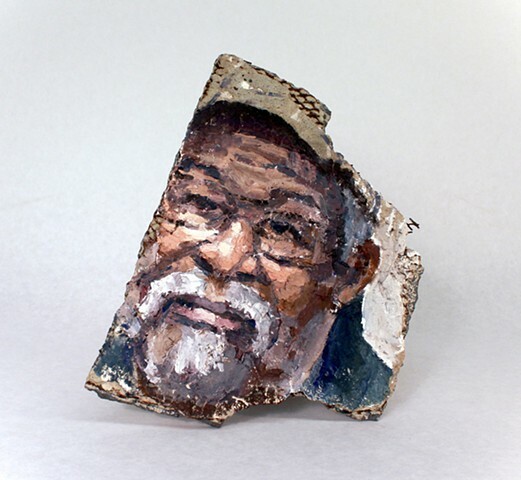 Each portrait is painted on the back of a piece of formstone (the iconic Baltimore rowhome facade) salvaged from construction and demolition sites in the area. 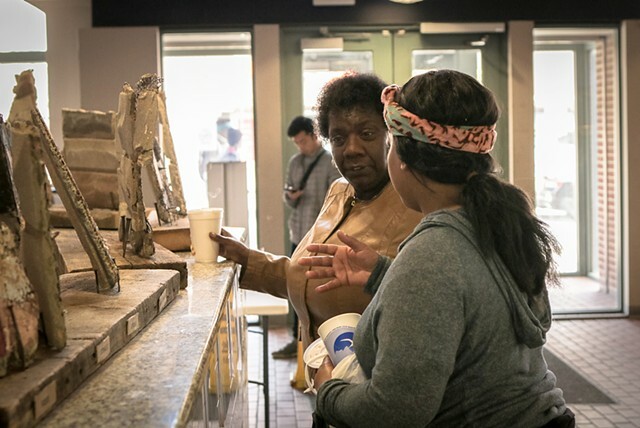 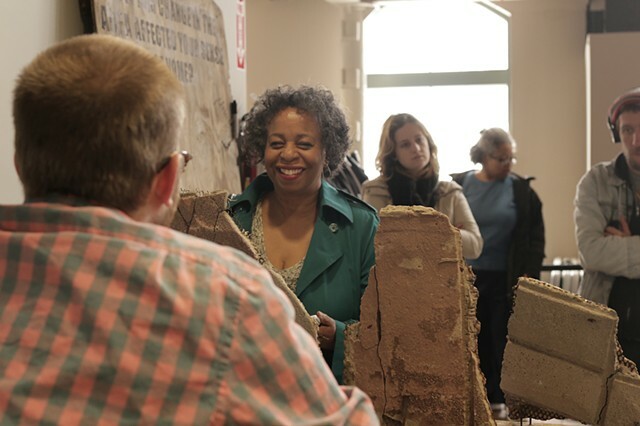 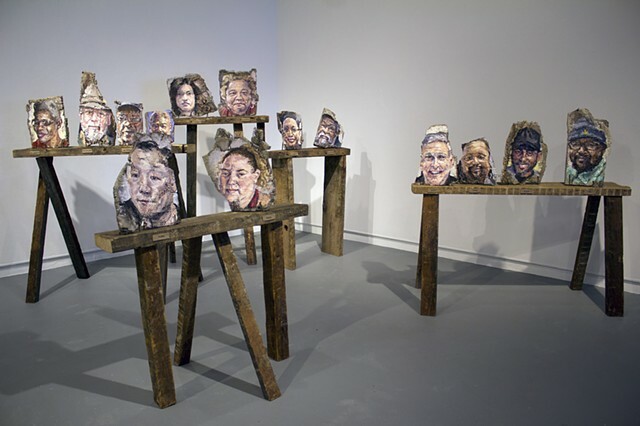 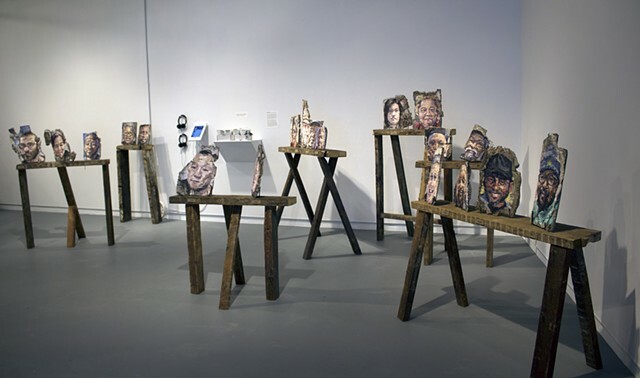 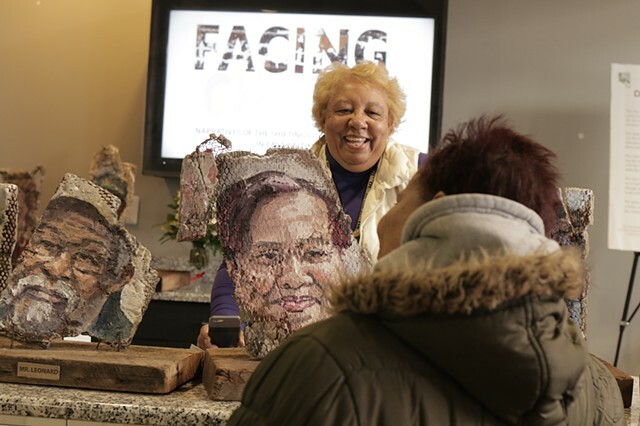 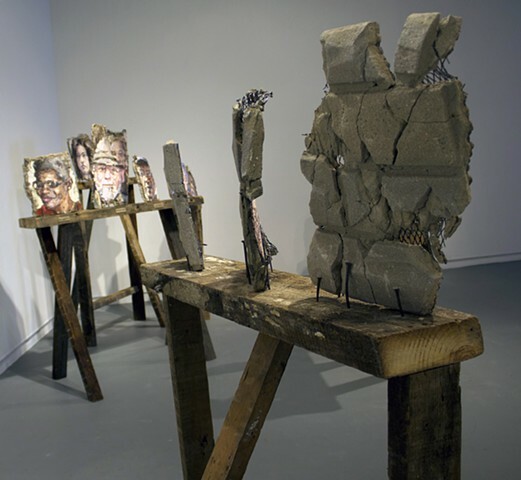 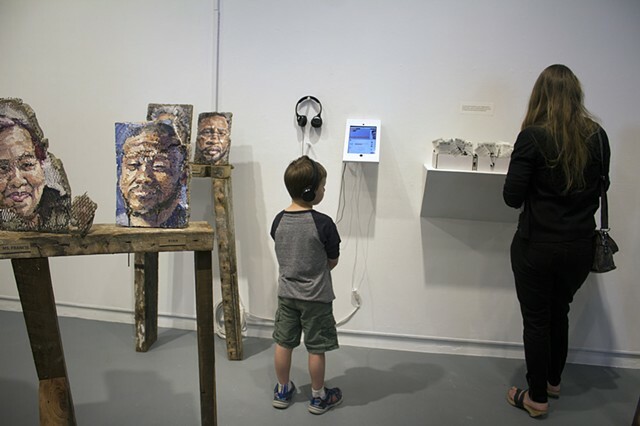 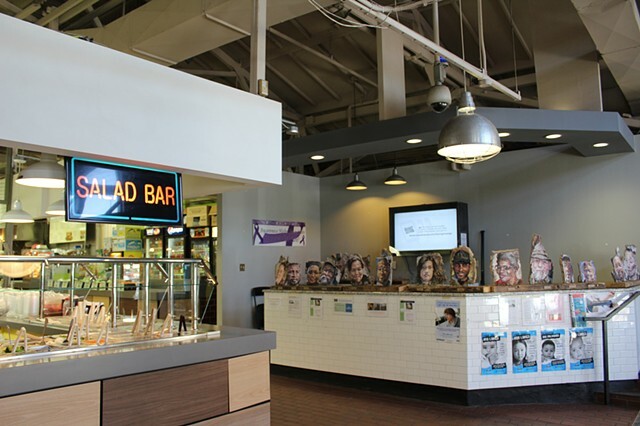 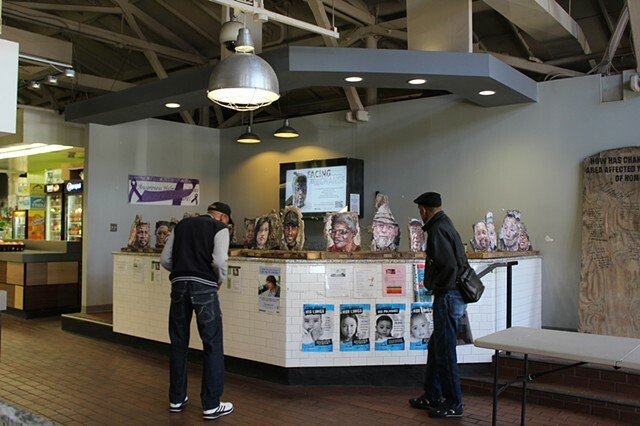 Facing Change was shown at the historic Northeast Market and in MICA's Decker Gallery. 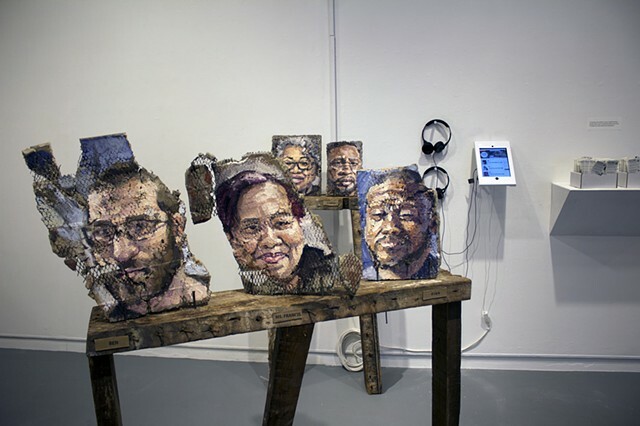 Click on individual portraits to hear their audio narratives.